Fairfax County Cremation Planning Are you planning a cremation in Fairfax County? A Fairfax cremation is often chosen for its ease on loved ones, the environment, and wallets. As the oldest cremation society in Virginia, our Chantilly office strives to offer quality service to our members and their loved ones. If you pre-plan your Fairfax cremation, you can choose what kind of package you need to fulfill your final wishes while relieving surviving loved ones from trying to figure that out while grieving. Our expert Fairfax cremations counselors can help explain our numerous options in detail. Fill out the form on the right if you would like more information about Fairfax cremations. Affordable Prepaid Cremations Take care of yourself and your family by purchasing a pre-planned Fairfax cremation today. As soon as you lock in our low prices today, you won’t have to worry about rising prices for Fairfax cremations tomorrow. Our experienced Fairfax counselors can also help you find ways to meet your budget without sacrificing respectful and caring service. We at the Cremation Society of Virginia in Fairfax County offer our heartfelt sympathy for your loss. Losing a loved one is difficult, but an immediate need Fairfax County cremation plan with the Cremation Society of Virginia can help fulfill your loved one’s final wishes. The respectful and caring staff at our nearest office can assist you through the legal and actual cremation process. Our office handles death certificates, cremation permits, transportation of your loved one throughout the cremation process, forming a Fairfax County package that meets your budget, and arranging post-cremation burial or scattering services. If you decide to call, please also purchase an immediate need Fairfax County cremation package either directly before or after you call. If you want more information about the benefits of a Fairfax County cremation, then please fill out the form on the right. Keep in mind that it may take more time to receive information this way. 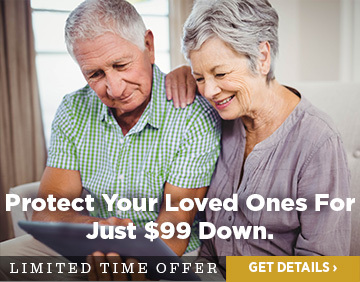 If a loved one has passed away, please call us first so we can begin to help you. Once again we wish to express our condolences for the loss of your loved one. We hope that a Fairfax County cremation can fulfill your loved one’s final wishes. By filling out the form on the right, you can get in touch with an experienced Fairfax County counselor who can tell you more about our options for Fairfax County veterans’ cremations. The counselor can also help you find government benefits that you may use to save even more on your Fairfax County veteran’s cremation.